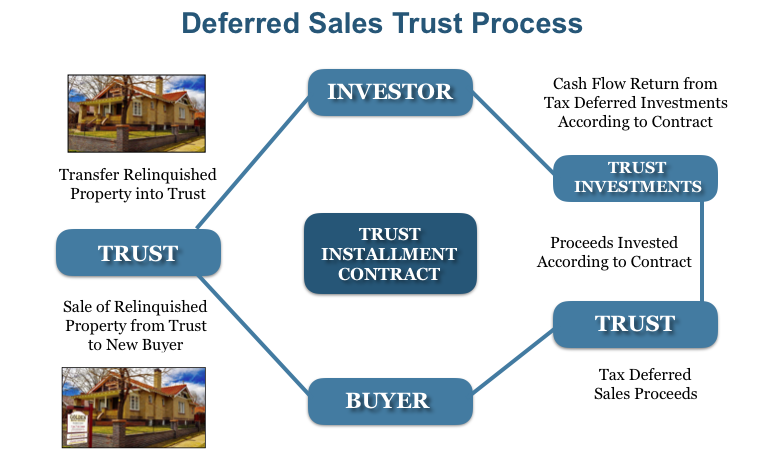 If you'd like to sell your duplex, triplex or other small multi-unit property, and are not planning to reinvest your equity into another like-kind property, a Deferred Sales Trust may be for you. This strategy could save you thousands of dollars in taxes. So instead of having $700,000 or $800,000 left over after taxes, the whole million is there for the trust to reinvest in stocks, bonds, real estate, annuities or any other type of investment that would generate a greater income stream for the trust that would pay you per the terms of your agreement with the trust. You can have is set up so you take your payments over a 10 or 20-year period, or over your lifetime. You can even defer your initial payments and not take anything in the earlier years if you don’t need the income. Meanwhile, all of the money is invested and growing, not the money minus the taxes. If you choose to take your payments over a 20-year period, and structure the payments in your installment contract to be 5% ($50,000 a year), you’ll only pay the capital gains taxes on the principal as you receive the money. The IRS code doesn’t require the payment of capital gains taxes until you start receiving the installment payments. Check out another tax deferral method called the Delaware Statutory Trust. If you have questions about Deferred Sales Trusts or would like a Broker’s Opinion on the Current Value of your Investment Rental Property, contact Andrew at (720) 710-1000 or Andrew@GoldenRealEstate.com or just complete the form below for a fast response.